The Los Angeles Angels’ Ervin Santana threw a no-hitter against the Cleveland Indians despite letting the leadoff batter score, five years ago today. 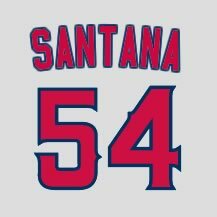 On Wednesday, July 27, 2011, at Jacobs Field, Santana struck out 10 and walked just one as the Angels beat the Indians 3-1. The Indians scored their run in the first when Ezequiel Carrera reached on an error by Erik Aybar, stole second, advanced to third on a ground out and then scored on a wild pitch. Also tossing a no-no on this date in 1885 was the Chicago White Stockings’ John Clarkson. On Monday, July 27, 1885, Clarkson no-hit the Providence Grays for a 4-0 win at Providence’s Messer Street Grounds.